Home » Articles » What are the steps of a personal injury lawsuit? 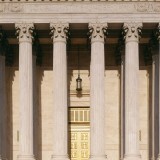 The current Supreme Court Rules came into effect in British Columbia on July 1, 2010. The following paragraphs set out a summary of the main steps in a personal injury lawsuit under these Rules. It is important to note that not all lawsuits proceed in the same fashion. This article is designed to provide a general overview and does not address all situations. 1. Information Gathering – the first step in any lawsuit is to gather the relevant information from documents, the accident site, witnesses, doctors, caregivers, family, friends, co-workers and any other relevant sources of information. The information gathering process is ongoing and sometimes quite time consuming. 2. Legal Opinion – once the initial information gathering is complete your lawyer will usually provide you with a legal opinion on the validity and value of your case. In the personal injury context this is an ongoing process. Your lawyer’s opinion may change as the case progresses and new information is provided. 3. Filing a Notice of Civil Claim – your lawyer will commence the lawsuit by filing a Notice of Civil Claim (previously called a Writ of Summons and Statement of Claim) with the Court. A Notice of Civil Claim must state the material facts giving rise to the claim (i.e. the accident and resulting injuries), the relief sought (i.e. damages) and the legal basis for the relief sought (i.e. negligence of the other driver). The Notice of Civil Claim is then served on the Defendant (the person and/or company you are suing). Depending on your case, your lawyer may try to settle your claim before commencing the lawsuit. 4. Response to Civil Claim – a Defendant responds to a Notice of Civil Claim by filing a Response to Civil Claim (previously called the Statement of Defence) with the Court. A Defendant must admit, deny, or state that the facts referred to in the Notice of Civil Claim are outside the Defendant’s knowledge. For each item denied, the Defendant must set out the Defendant’s version of events. 5. Case Planning Conference – any party to the lawsuit may request a Case Planning Conference. The Case Planning Conference is a conference between the parties, counsel and a judge or master. The purpose of the conference is to streamline and determine how the case should proceed. A trial date may be set at the conference or some later date. The next steps in the lawsuit will depend on any Orders that arise out of the Case Planning Conference. 6. Discovery and Inspection of Documents – each party must prepare a List of Documents that lists all documents that are or have been in the party’s possession or control and that could, if available, be used by any party at trial to prove or disprove a material fact, as well as all other documents that each party intends to refer to at trial. The List of Documents must then be delivered to all parties in the lawsuit. The obligation is ongoing, therefore any documents found during the course of lawsuit must be listed and produced. 7. Examinations for Discovery – each party is entitled to have the opportunity to ask questions of the other party for a period of up to 7 hours on any subject matter relevant to the issues in the lawsuit. Each party’s lawyer will be present and the questions and answers will be recorded by a Court Reporter. The time period referred to can be extended by consent or Court Order. 8. Expert Witnesses – in a personal injury action you will often need the evidence of one or more experts to provide an opinion on the cause, nature and extent of your injuries, treatment and your prognosis (likely outcome). Your case may also require experts such as engineers, accountants, economists or actuaries. Experts are required to summarize their opinion in a report that conforms with specific rules. 9. Witness Lists – unless the court otherwise orders, each party must provide the other party with a witness list that sets out the full name and address of each individual that party intends to call as a witness at trial. 10. Negotiation, Mediation, and Settlement Conferences – in most, if not all personal injury claims, the goal is to try and settle the claim prior to it going to trial. There are numerous ways that parties can attempt to settle their claims, including informal negotiations between counsel, formal offers to settle, mediation and settlement conferences. Virtually all settlement discussions, regardless of the format, are done on a without prejudice basis which means that the information exchanged cannot be used against either party should the matter proceed to trial. The Court can impose a penalty on a party who takes a case to trial where they could have settled the case for the same amount or better than what was awarded at trial. 11. Trial Management Conference – a trial management conference will take place at the courthouse within 28 days before the scheduled trial date. Generally, the lawyers and their clients must attend. The purpose of the Trial Management Conference is to make sure the parties are ready to proceed to trial, obtain further direction on how the trial should be conducted and make further attempts at settlement before the trial proceeds. 12. Trial – at trial each party is given an opportunity to present their case through witnesses and legal argument. The Plaintiff’s case goes first. Each party will have the opportunity to have their lawyer cross-examine the other party’s witnesses. The case will finish with each lawyer presenting their closing arguments. After closing arguments, the judge or jury will make a decision based all the information presented. The successful party will usually be awarded his or her costs. These are Court costs, which are not the same costs that you pay your lawyer. The costs are assessed using a tariff (a point system) which, if awarded will cover only a portion of your legal costs. The time it takes to proceed through all the steps depends on several factors, such as resolution of your injuries, legal complexity, availability of lawyers, experts and the Court. Some cases can be completed quickly (6 months to 1 year) but many will take 2 years or more. Maximizing the value of a personal injury lawsuit is a complex task, and one which requires a great deal of skill and knowledge. Jan Fishman is a Vancouver Personal Injury Lawyer with the skill and knowledge to maximize a personal injury lawsuit. Contact Jan Fishman and put his experience to work for you.